Nigeria’s richest woman, Philanthropist and Africa’s leading self-made female billionaire, Folorunsho Alakija celebrated her 65th birthday in grand style. The amazon is one of Nigeria’s richest high profile personalities who can still boast of their families. Contrary to the seeming stereotype that successful women cannot have it all, this business mogul surely begs to differ. Folorunsho Alakija started her journey as a secretary at Sijuade Enterprises, Lagos, Nigeria, in 1974. She worked as a banker for a while, and off she went into the world of fashion (Supreme Stitches). From there she ventured into the oil industry where she emerged twice as successful. She has affiliations to several other lucrative businesses. Currently she is one of the few world’s black female billionaires, the 3rd to be precise. Regardless of her billionaire profile, she still understands her role as a typical African wife. The affluent woman says she still cooks for her husband. Who would have thought? “My husband is my best friend, biggest adviser and supporter. We’ve known each other for 40 years and have been married for 37 years now and with four boys. 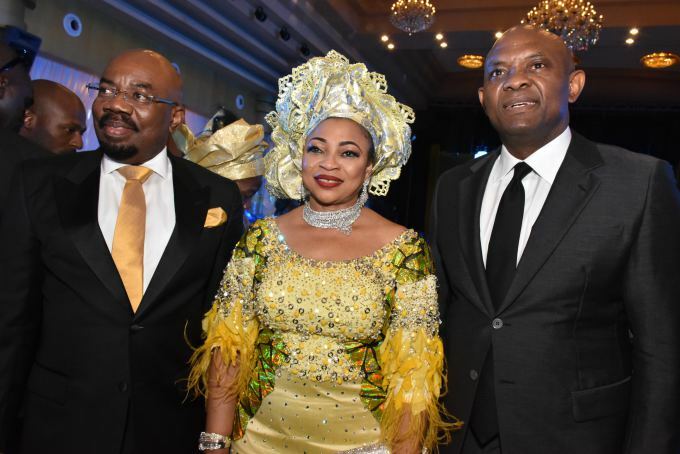 For her 65th birthday, Folorunsho Alakija celebrated the occasion in an unreserved classy way at Oriental Hotel, Lagos. Family, friends, colleagues and dignitaries were there present. 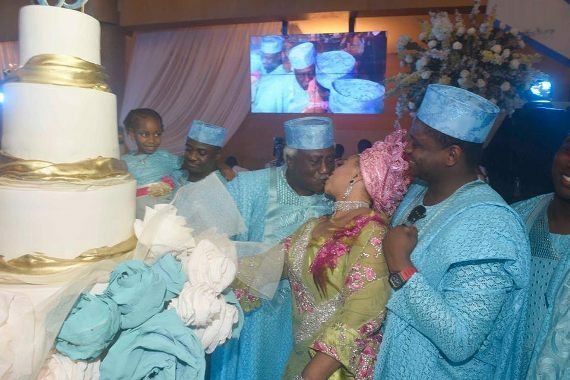 Attached to the billionaire’s 65th birthday celebration was the Alakija’s 40th wedding anniversary. On that note Folorunsho expressed her immense and boundless joy for a spouse like hers. Folorunsho generously shows her light of success anywhere she is. As a longstanding trustee of the Fashion Designers Association of Nigeria (FADAN), she is noted for promoting Nigerian culture through fashion and style. After her prowess in the world of fashion, she applied for an oil license which was granted and has become the source of her present wealth – Famfa Oil Limited. As a way of giving back, she helps widows and orphans under the parasol of the Rose of Sharon Foundation. For her successes so far, Folorusnso Alakija attributes it to God.